Product prices and availability are accurate as of 2019-04-12 09:39:39 EDT and are subject to change. Any price and availability information displayed on http://www.amazon.com/ at the time of purchase will apply to the purchase of this product. 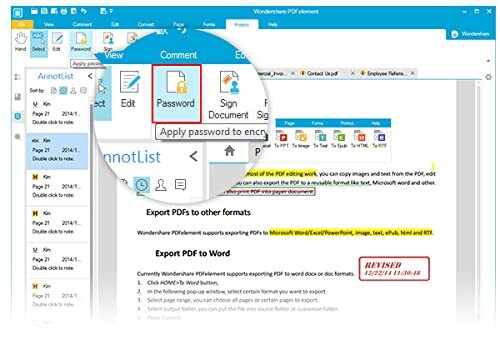 It's an all-in-one PDF solution that allows you to easily create, edit, convert, annotate, protect, merge, watermark, compress, and sign industry-standard PDF files. It helps you to change the way you work with PDF. Fully supports Windows 10. 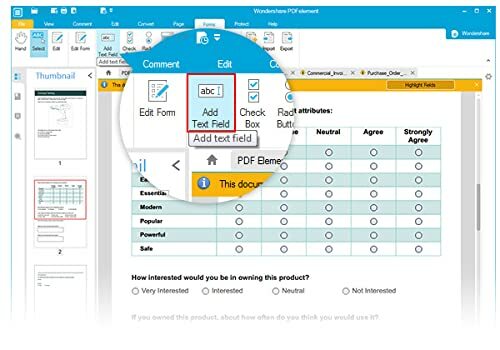 Top-of-the-line OCR technology: Transform a scanned, image-based PDF document into usable text again – while retaining the document’s appearance. Tips:The OCR function can be used after paying the extra $20. 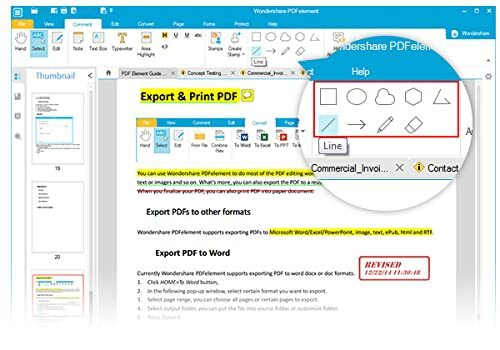 Wondershare PDFelement OCR Plug-in only works with Wondershare PDFelement windows version. 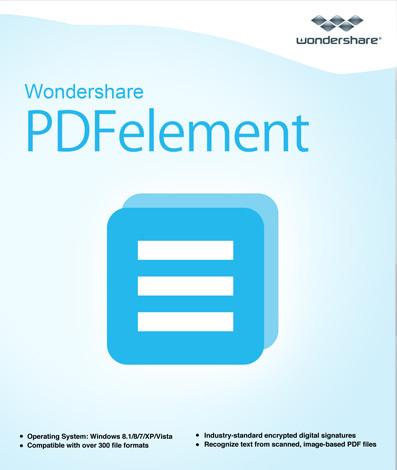 If you had bought Wondershare PDFelement, please search the page (Wondershare PDFelement OCR) on Amazon and buy it. 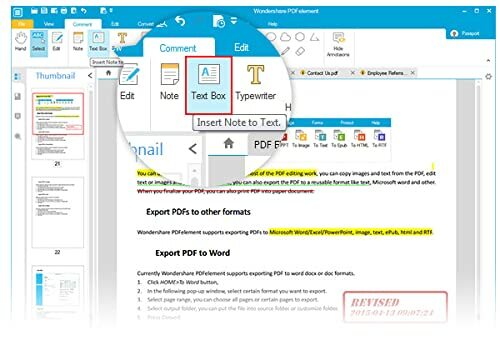 Work with scanned PDF text in almost any language, including: English, Korean, Italian, French, German, Russian, Czech, Turkish, Portuguese, Polish, Romanian, Ukrainian, Japanese, Greek, Croatian, Bulgarian, and many more. Use one of the provided industry-standard encrypted digital signatures, or create one specifically for your handwritten signature. Easily prevent them from printing, copying, editing, and extracting by setting permissions for your document. Six interactive field options: text, buttons, checkboxes, radio buttons, list boxes, and dropdown lists. 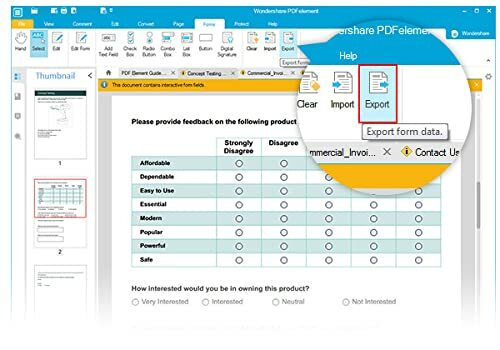 Download PDF form templates to edit, to transfer your own PDF forms with ease. Printing to PDF helps you create an electronic copy of your file, and make it easy to store, search, and send to others for review, and keep 100% of the original layout and quality. Purchasing our software, you can get a lifetime license which can be used on 1 PC. And you can enjoy free technical support service and free lifetime update. If need used for more PCs, you should purchase more licenses.